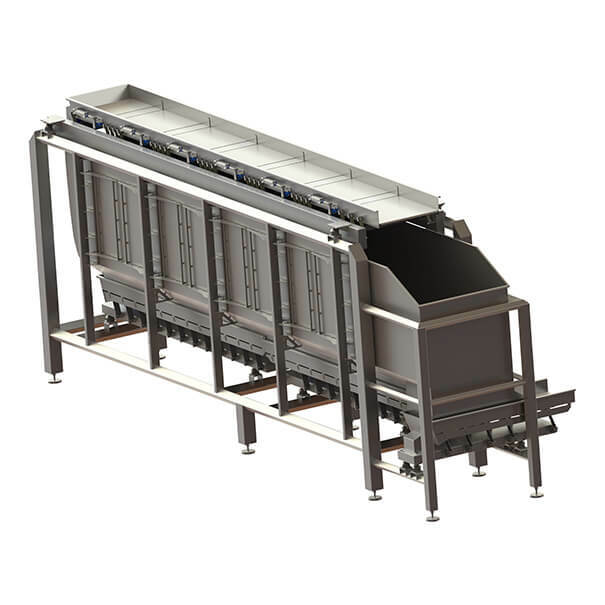 A storeveyor is a combination of conveyors and a storage system. Storeveyors are used to store your products between processes on your production line. They maintain your products, their freshness and integrity before moving them on to the next piece of processing equipment. When used in conjunction with certain other systems, storeveyors guarantee a consistent and timely supply of products across your entire production line. Your products will be delivered to precisely where they’re needed, precisely when they’re needed, and in precisely the right quantities. Through combining bulk storage with carefully controlled distribution, storeveyors might be just the thing you need to streamline your production line. These systems allow batch manufacturing to be stored and called off as needed by the process. There are many companies out there offering conveyor equipment. But we offer something more – a comprehensive solution that’s guaranteed to make your business less wasteful, more efficient, and significantly more productive. For more information about our storeveyors, or to request a quote for your business, call us now on +44 (0)1384 895 121.